I reside in a household surrounded by adept and proficient gamers. My husband and our four progeny spend their leisure hours engrossed in their current challenge which usually involves questing, raiding or racing. Despite numerous attempts, I have always resisted any invitation to join them in their various electronic pursuits. I would much prefer to spend my meagre amount of leisure time reading a book. On the rare occasions that I could be persuaded to join in a racing game, I would usually give up after a couple of laps, having crashed at every possible, as well as at every seemingly impossible, opportunity. I had the rare talent of being able to turn a pristine car into a mess of carbon fibre, merely by attempting to go in a straight line! I decided I had neither the time nor the coordination to persist in such an unsatisfying pastime. 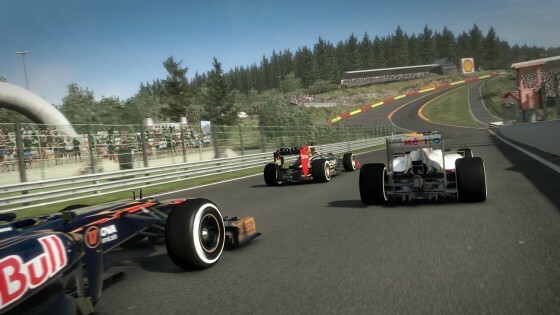 As my appreciation of the more subtle points of Formula One grew over the early part of the 2013 season, my husband began suggesting that it would aid my understanding of the races to master the track layout by playing F1 2012. I quietly rolled my eyes and ignored this absurd proposition. 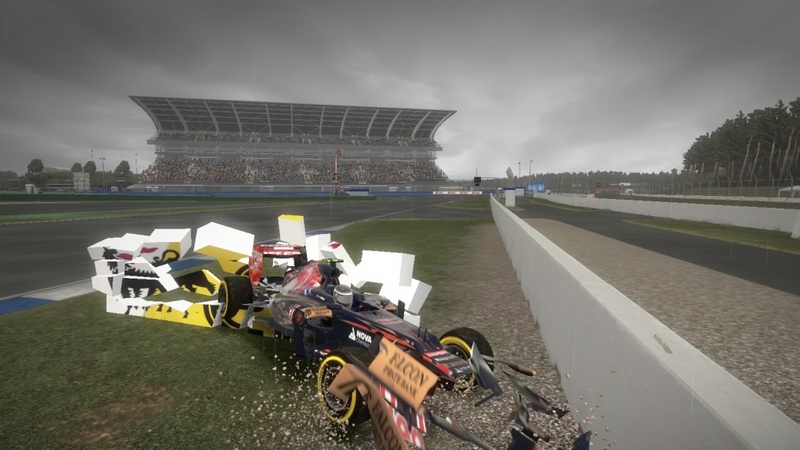 How could driving around the circuit at twenty kilometres per hour, crashing into multiple barriers, and spending half my time going backwards because I kept spinning the car, be at all helpful in learning the track? It would only be a lesson in frustration. After several weeks of encouragement (i.e. nagging), I finally agreed to attempt to steer the car around the circuit a couple of times, solely so I could visualise a lap from the driver’s perspective. It was fortunate that we had bought our son a steering wheel and pedals for his birthday a few years before as I found this to be a tremendous breakthrough on my earlier struggles to pilot the car while using a joystick. 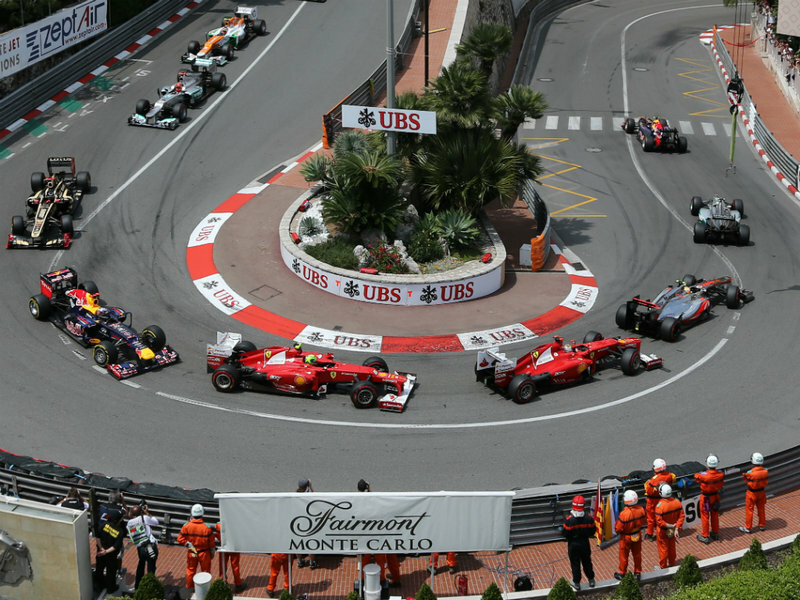 The next race would be at Monaco – unquestionably the perfect track for the novice racer – well, maybe not! My son dutifully set me up with automatic gears, and I crept around the circuit like a grandmother driving on ice. Much to my delight, my ability to keep the car on the track was far superior when manipulating it with a steering wheel than it had been with a joystick. My favourite part was going around the hairpin with the steering at full lock, but I could only do about ten laps before my hands were so cramped from my death grip on the wheel that I couldn’t hold onto it. Surprisingly, my husband was correct, as I did appreciate recognising the different sections of the track and it added enormously to my enjoyment of the race. The next race, two weeks later, would be at Canada and I commenced practising forthwith. It was while going through the myriad settings hunting for automatic gearing that I found the set-up option that changed everything – automatic brakes! I could now leave my leaden right foot planted flat on the accelerator, and the program would slow the car to the appropriate speed for each corner. As long as I was close to the correct racing line, I could zip through each turn, giving every appearance of being a legitimate racer. I was also mastering the art of relaxing my hands while grappling with the wheel and, in short order, I could do 25 laps in a stretch. After a week of practice, I could close my eyes and visualise every corner of the circuit. When I had my lap times down to within ten seconds of my seventeen-year-old son he challenged me to a race. Initially, he would lap me twice in a twenty-five percent length race but as my speed and race craft improved eventually could lap me only once – a real success for someone who at the beginning was so slow he could have lapped me every couple of laps. What I hadn’t anticipated was that the professional drivers had difficulty with the same corners as I did. When a driver spun or lost control of the car, it would often happen on a corner where I had crashed on multiple occasions. I now knew the circuit so well I was arguing with the television commentators about where on the track the action was taking place. For the subsequent races, I began to get more methodical. I would copy the circuit onto paper and analyse the different corners, numbering them and putting them into groups. Then, while practising the track, I would memorise the patterns. Initially, it took me more than thirty laps to master the corner sequences, but by the last few races of 2013, I would have the track pretty well sorted by ten practice laps. Further practice would only reduce my lap times by tenths of seconds in each sector as I slowly improved my racing lines. My goal was to get to within ten seconds of my son’s lap times which, though not blindingly fast, was still fast enough to at least feel slightly competitive. In reality, it was like a Sauber chasing a Ferrari! My last breakthrough was to abolish the automatic braking. I discovered that I was now so accomplished I could do my own braking, and I could go faster if I did so because I could brake later and get on the power earlier than the car was programmed to do. My son continues to lap me once in most of our races, but occasionally he takes pity on me and does an additional pit stop which allows me to stay ahead – not for the win, but at least I’m no longer one lap down!